So, 2011 might have been a fantastic year for you; it could have also been filled with ups and downs and things that you didn’t expect. Either way 2012 is upon us and it’s up to US to make a choice to do things better, and do things right for the up coming year. Let’s look 2012 right in the face and DECLARE all the things that we want to accomplish. Each year is a chance at a new beginning. Let’s start with our goals for our natural hair. I want to challenge myself in 2012 to truly unlock my growth potential. I know my hair has the capacity to grow even longer, and I want to make an active effort to speed up the process and help it to get there. 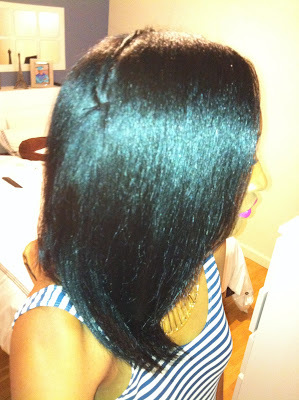 If you’re on board with my natural hair resolutions, join me in 2012 on a quest to longer, healthier hair! What are some of your natural hair goals for the new year? Please share them below! Next Post Style inspiration for New Years Eve!